This is my favorite time of year. Christmas has always been a very special time for me. I have many happy memories of the holiday. These memories go all the way back to when I was a child, they extend through the years when my children were young, and they continue all the way through my Christmas present, when my wife and I celebrate the warmth of the season with extended family and friends. There’s another reason that this is my favorite time of year. The end of the year is the time when the investment gurus make their predictions for how the economy and the financial markets will perform in the new year. The investment strategy that we use at our firm is based on the belief that no one, even the best and brightest minds in the investment world, can accurately and reliably predict the markets. So, for many years now, I have kept track of those end-of-the-year predictions, and then I look forward to this time of year, when I can compare the predictions with the results. The year that is about to end, 2017, has been one to remember in the financial markets. The global stock markets have had a remarkable year. It seemed like the news media were reporting on new records in the Dow, the S&P 500, and the Nasdaq almost every day. As of this writing, which is a week before the year ends, the Dow has gained 28% for the year. The S&P 500 is up 22%. The international markets have also been strong. The EAFE Index, which includes Europe, Australia, and the Far East, has gained over 23%, and the emerging markets index, which includes China, India, Turkey, and Latin America, has enjoyed a gain of 34%. On the bond side of the financial markets, it was a bit more subdued, with the US Aggregate Bond Index returning just under 3% for the year. Vanguard’s Chief Global Economist called for global equities to gain 5–7% for the year. He got the direction right but only missed by 15–20%. He was better with his bond prediction. He called for a 2.25% yield on the 10-Year U.S. Treasury note. It currently sits just below 2.5%. He called for growth in the U.S. economy of 3% for the year and was close. GDP for the third quarter of the year was 3.3%. Ameriprise’s Chief Market Strategist predicted a return on the S&P 500 of 4.5%. The index actually gained 22%, as noted above. State Street Global Advisors’ Chief Investment Strategist made three predictions and wasn’t close on any of them. His guess of a 3% gain for U.S. large-company stocks missed the mark. The Large Company index showed a gain of 23%. He was cautious toward international stocks and underweighted his recommendation in Europe and Asia. That index gained 23%, so he didn’t do his clients any favors. Robert W. Baird, an international investment management firm, predicted that the S&P 500 could reach 2,400. I guess we have to give it to them on this one. The index blasted through 2,400 before the end of May and currently sits just below 2,700. Byron Wien, the Vice Chairman of Blackstone, one of the world’s largest investment firms, predicted that the S&P 500 “could” top 2,500; that the yield on the 10-year bond would approach 4%; and that oil would stay below $60 per barrel. He underestimated the S&P 500 and missed the yield on the 10-year bond by a mile, but he nailed the oil prediction. Oil prices have stayed below $60 all year and currently sit at $58/barrel. Bob Doll, the well-known Chief Equity Strategist of Neveen Asset Management, didn’t get either of his major calls right. He predicted that the yield on the 10-year Treasury note would be 3%. As mentioned earlier, it has stayed below 2.5%. Mr. Doll also predicted an end-of-year reading on the S&P 500 of 2,350, a gain of 5%. The index, currently at 2,684, gained 22%. 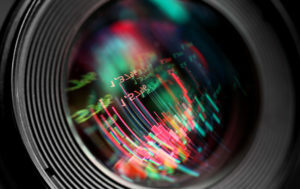 Nicholas Atkeson and Andrew Houghton, co-founders of US Capital Wealth Management, had the best call among the analysts making their predictions. They predicted that the S&P 500 would gain 12% for the year. That’s the best guess of anyone, but they still missed their mark by almost 50%. Once again, the financial markets have proven that they are unpredictable by nature. When even the best and the brightest can’t get it right, who can? We don’t think anyone can. A better plan is to follow a diversified, disciplined, low-cost investment strategy. We can help you with that. But as the year comes to an end, the investment gurus, undaunted by their dismal performances, have already started coming out with their predictions for 2018. But don’t worry, I’m tracking them and will look forward to sharing their results with you again next year. In the meantime, we wish you and your family all the warmth that is the holiday season and hope that you have a happy and prosperous new year! Older PostShould You Invest in a Bit of Bitcoin?